Tom began his career in karting at the age of eight. He was the 2006 Renault Clio Cup champion, winning the title by 113 points from his nearest rival. This allowed him to graduate to the BTCC for the 2007 season. He finished 10th overall in the championship standings for West Surrey Racing after recording 4 podiums, including his maiden victory at Snetterton. In 2008, Vauxhall acquired his services and placed him into the third Vectra along with previous champions of the series, Fabrizio Giovanardi (2007) and Matt Neal (2005 & 2006). He took pole position for round 3 at Donington Park, leading race 1 until dropping to third through an off-track excursion. He was also strong in race 3, before being hit by Giovanardi, but recovered to finish third. He recorded another pole at Thruxton and followed this up with his first 2 wins of the season in races 1 and 2. He would go on to finish a career best sixth in the championship, scoring 170 points with two wins and nine podiums, including five podiums in succession. Having been replaced at VX Racing by Andrew Jordan, he started 2009 without a drive. Tom drove the medical car during the second BTCC meeting of the season, at Thruxton. Tom was brought in by Team Aon to replace Alan Morrison ahead of the round at Croft, where he was due to drive the medical car once again. He had to use Morrison’s race suit and seat. He rejoined the team later in the season for the final three rounds, before signing for the team full-time for 2010. In 2010 Team Aon’s Fords were powered by liquefied petroleum gas, and Tom was confident of a title push pre-season and the team claimed four of the season’s first five pole positions. His first win of the season was awarded to him after Chilton was excluded from the results at Brands Hatch due to a technical infringement; holding off Gordon Shedden by 0.009 seconds, the closest finish in BTCC history. By midseason, other teams and drivers were complaining about their apparent straightline speed advantage. Tom scored stronger results than team-mate Tom Chilton early in the season, but in the first two races at Silverstone, Tom moved over when leading to allow Chilton to take the victories. Chilton’s father is responsible for the team’s sponsorship from Aon Corporation, but Tom was able to win the third race. With Team Aon having left to go to the World Touring Car Championship, Onslow-Cole had to look elsewhere for a drive in 2012. In February 2012 it was announced that he would join eBay Motors, the team for which under a different guise he made his BTCC debut with in 2007. He finished on the podium for his first race back with the team at Brands Hatch. 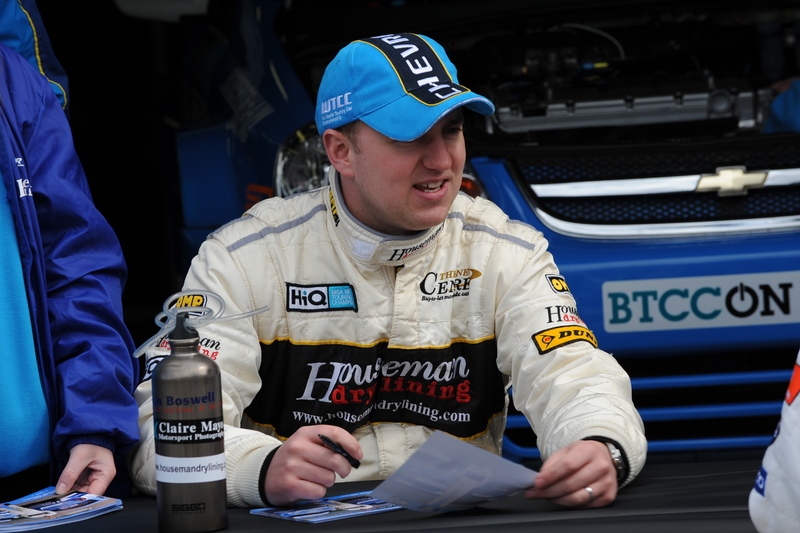 In January 2013 it was confirmed that Onslow-Cole would drive an NGTC Volkswagen CC for Team HARD. in the 2013 season in a three year deal. He took his first podium for the team at Thruxton where he finished third in race one and then he finished second in race two, his best result of the season. He decided to miss the final three rounds of the season. 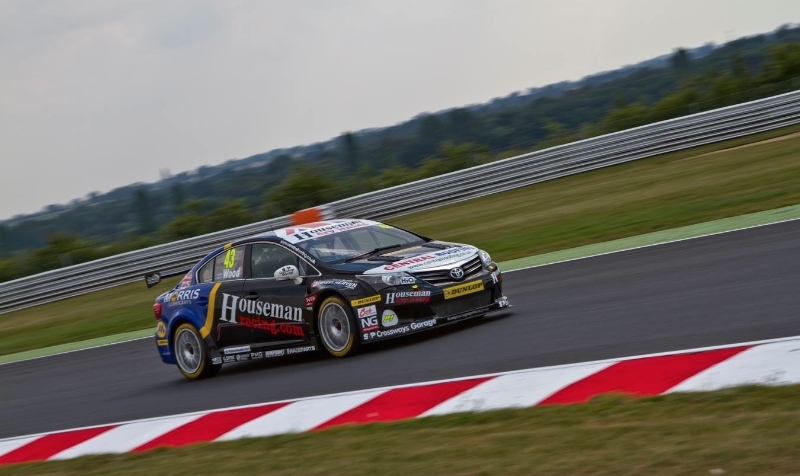 In September 2013, Onslow-Cole joined Motorbase Performance under their Airwaves Racing banner for the final three rounds of the 2013 season having left Tony Gilham Racing.